Periodontists like Dr. Brandon Frodge, are highly trained dentists who specialize in the prevention, diagnosis, and treatment of periodontal disease. 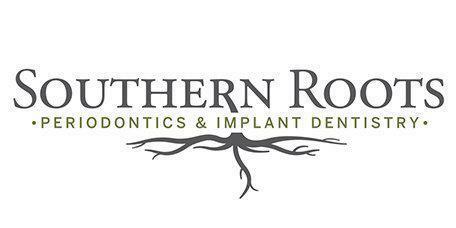 At Southern Roots Periodontics and Implant Surgery, periodontal disease is treated in a comfortable, state-of-the-art facility on Dresden Drive in Atlanta, Georgia. What Conditions Warrant Periodontal Surgery? Periodontal surgery can be performed for a variety of conditions. Periodontal disease, recession, uneven or excessive gums, missing teeth, missing jawbone, and trauma to the face and mouth may require periodontal surgery in order to correct the problem. Dr. Brandon Frodge at Southern Roots Periodontics and Implant Surgery is certified to perform periodontal surgery including removal of periodontal infection and pocket depth reduction, bone grafting including ridge augmentation and sinus lifts, gum grafting for exposed root or recession repair, dental implantation, esthetic crown lengthening and Accelerated Osteogenic Orthodontics (AOO / Wilckodontics). What is Osseous Surgery? What Can I Expect? Osseous surgery is done in an effort to keep the tooth in place when there is a pocket around one or more teeth that has not responded to other treatments. The procedure smooths and reshapes the affected bone and cleans the root’s surface, making it harder for the bacteria to grow and easier for the body to repair itself. The gum tissue is trimmed to make the new structure and stitched in place to hold the gum tissue in place while it heals. Dr. Frodge may prescribe a pain medication for use after surgery along with specific instructions for how to care for the teeth and gums. What is Pocket Depth Reduction? What Can I Expect? Healthy bone and gum tissue should be snug around the tooth. When a patient has periodontal disease, pockets form around the tooth, loosening the gum and bone tissue around the tooth. Over time, these pockets become deeper allowing bacteria and calculus to accumulate in areas that cannot be reached with a traditional dental cleaning. Pocket depth reduction is a surgical procedure that is performed when these deep pockets form and cannot be cleaned or reduced with other methods. Dr. Frodge folds back the gum tissue and removes the bacteria before securing the gum tissue in place. Sometimes, osseous surgery is performed simultaneously to smooth the surfaces of the bone where bacteria can hide. The gum tissue can then reattach to healthy bone.